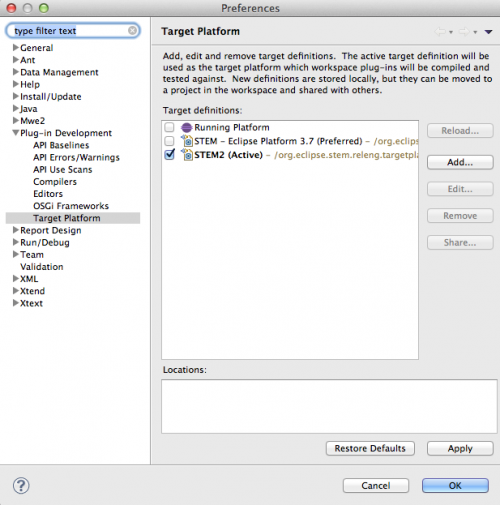 : '''Important Note About Target Platforms''': The target platform represents which version of the Eclipse Platform to compile and run STEM in. '''You should be using the same version of the Eclipse SDK or newer to apply a given platform.''' 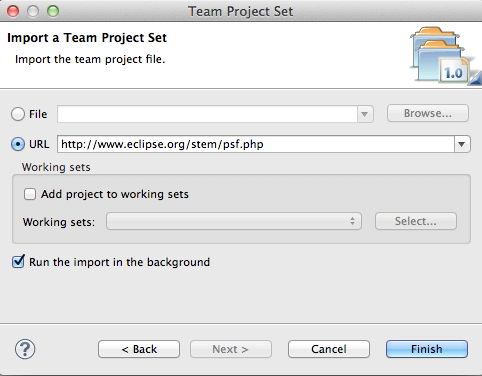 For example, if you want to use the Eclipse Platform 3.8 Target Platform, you should be using the Eclipse SDK 3.8 or newer.